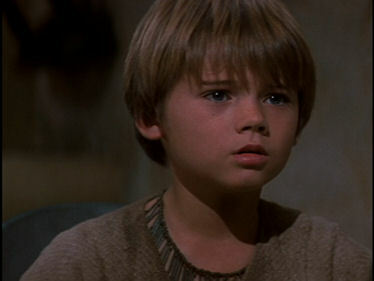 Young Anakin (Jake Lloyd). It is hard to see him as the masked villain of the saga at this point. The Phantom Menace begins with turmoil engulfing the Galactic Republic. The Trade Federation has put up a blockade around the planet Nabu, due to a new taxation in trade routes. The Trade Federation wants to bring Nabu’s queen, Amidala (Natalie Portman – Black Swan, Thor, Lawless), to her knees and make her yield to their demands, using any means at their disposal. Unknown to the Trade Federation, the Jedi Council have sent two Jedi knights, Qui-Gon Jin (Liam Neeson – The Next Three Days, Unknown, Wrath of the Titans) and his apprentice, Obi-Won Kenobi (Ewan McGregor – Star Wars I-III, Beginners, The Impossible), to rescue Amidala. That way she can bring her case to the Senate. Yet, as they fly past the blockade, their starship is damaged and they are forced to land on Tatooine to repair the ship. On Tatooine, a planet outside of the republic’s orbit, Qui-Gon and Amidala come across a cute, little slave boy, called Anakin Skywalker (Jake Lloyd – Jingle All The Way, The Pretender, Madison). Qui-Gon sees something in Anakin, believing him to be the one who will bring balance to the Force. After buying Anakin’s freedom, via the young boy’s pod race success, Qui-Gon takes him to the Jedi Council, where he hopes the council will allow him to train Anakin as his second apprentice. But the council is wary of Anakin. Yoda (Frank Oz – Star Wars I-VI, Sesame Street, Monsters University) and Mace Windu (Samuel L. Jackson – Star Wars I-III, Coach Carter, The Avengers Assemble) sense ‘great fear’ in him. They’re not wrong because Anakin fears for his mother’s survival. But, still, fear can only lead one way: the dark side. Simultaneously, the unknown (phantom-like) Sith Lord and future emperor, Darth Sidious (Ian McDiarmid – Star Wars I-III & VI, Crime & Punishment, Margaret), urges his stooges in the Trade Federation to find Qui-Gon and Obi-Won. When they fail, Darth Sidious orders his apprentice, Darth Maul (Ray Park – X-Men, Heroes, Avarice), to find and kill the Jedi knights. 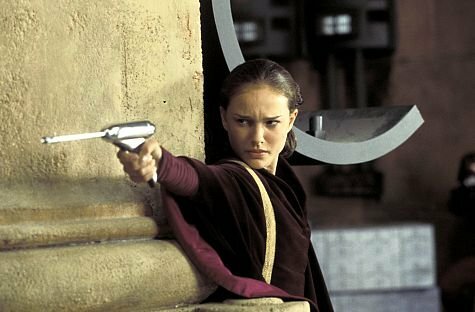 Queen Amidala/Padmé (Natalie Portman) leading from the front in the fight for the freedom of her planet. The plot for The Phantom Menace is enjoyable and surprisingly intelligent. 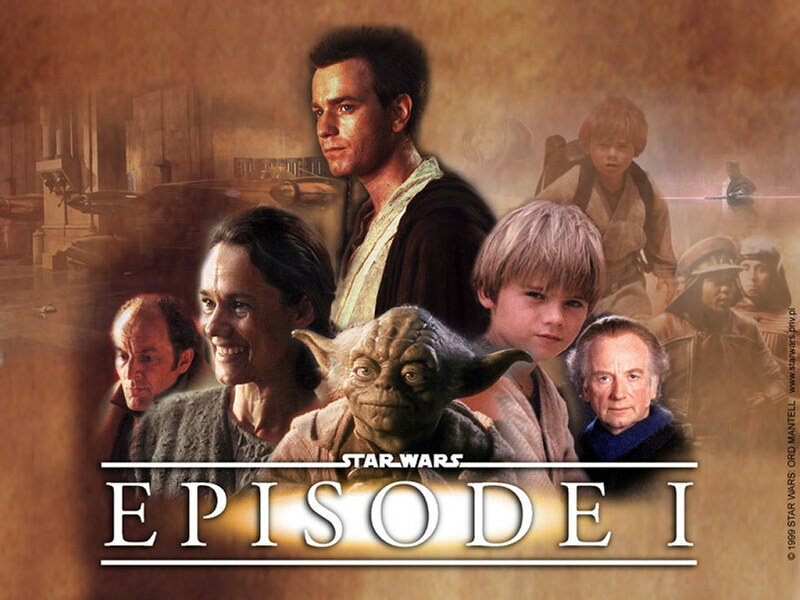 The film has a thrilling pod race tournament and the second best lightsaber v sith battle of the franchise (second after the epic duel between Obi-Won and Anakin/Darth Vader in Episode III: Revenge of the Sith); yet, the disputes over the trade blockade also make for a fascinating insight into the political workings of the republic. At the same time, Palpatine promises young Anakin that he will ‘watch over’ his Jedi training and be a father-like figure to him. The kindness of the gesture is unsettling to watch, knowing that Palpatine intends to exploit Anakin’s vulnerabilities to groom him as his long-term apprentice. Ian McDiarmid plays well as the duplicitous Palpatine, despite the character’s crudeness. Yet, the star of the film is undoubtedly Liam Neeson. Even the most ridiculous of lines seem (almost) plausible when he speaks, and nothing looks (overly) contrived either. The same cannot be said for Natalie Portman or Ewan McGregor, who both give very poor and detached displays; whilst Jake Lloyd’s performance is passable at best. His enthusiasm and confidence (obnoxiousness) is refreshing at first, but becomes repetitive and annoying after a while. 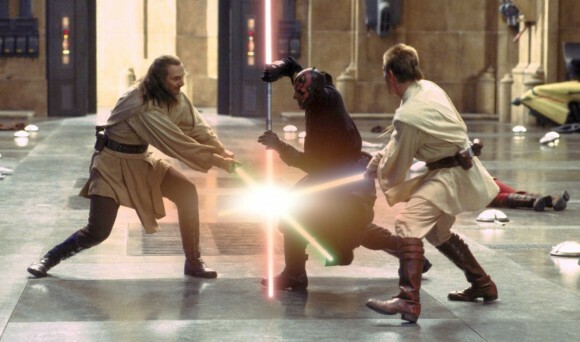 The fantastic three-way fight scene between Qui-Gon, Obi-Won and Darth Maul. Who will not survive? The acting and dialogue may not be noteworthy, but the special effects are enthralling (even if they’ve been touched up considerably since 1999). It is just a shame that the 3D is hardly visible. The three-way duel at the end would have been even more of a spectacle had it been properly adapted; especially, with the atmospheric theme ‘Duel of the Fates’ for accompaniment. Although the 3D is inadequate, The Phantom Menace is an entertaining movie. Once more, audiences can enjoy the impressive battle scenes and pod races; be dazzled by the special effects and lightsabers; and be intrigued by the way Palpatine abuses his powers for his ultimate goals. But most importantly of all, The Phantom Menace starts to explain how and why Anakin becomes Darth Vedar. This entry was posted in Action, Science Fiction, Thriller and tagged batman begins, black swan, episode i, ewan mcgregor, film, jake lloyd, liam neeson, natalie portman, review, star wars, the dark knight rises, the phantom menace. Bookmark the permalink. I think I’ll skip Episode 1, as you say not many scenes have been changed into 3D. Only seen the prequels once, to me they focused more on special effects than story, and are inferior to the old movies.